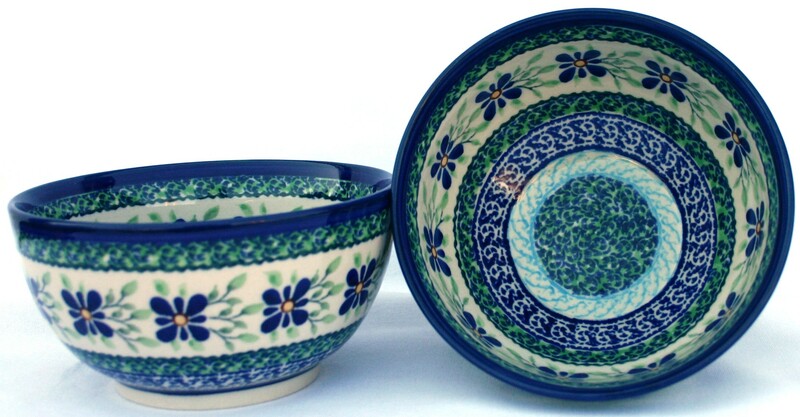 Polish Pottery is a gift for anyone, purchase this wonderful Artisan bowl in the Artisan Pattern Dearest Friend. The Pottery Avenue 2 Cup DEAREST FRIEND Stoneware Cereal Bowl presents excellence in utility and timeless grace with its Polish construction. This handcrafted cereal bowl is made by Poland’s skilled artisans through vitrification to make it functional to be used for serving, refrigeration and baking. This unique pamper chef stoneware uses white firing clay, which is cadmium and lead-free. The non-toxic colors are used for designing the attractive floral pattern ‘Dearest friend’. This chip-resistant serving bowl won’t lose its shine by daily use. It makes an impressive serving dish on special occasions too. "971/DU121 DEAREST FRIEND 2 CUP BOWL"